Check out the Superticket Video Below!! What is it? You are simply selling all the things you would sell to your golfers at registration (mulligans, raffle tickets, drink tickets, putting contest entries, etc.) and just to sell them at ONE time for ONE price (you choose the price). It is that easy!! What are the advantages of doing this? 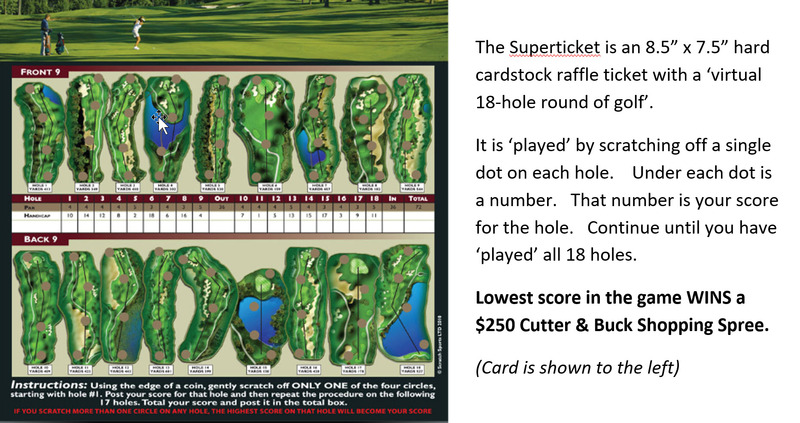 The back of the Superticket is fully customized for your event with your logo, your sponsors logos, a coupon, as well as all the things the golfer will receive for purchasing the ticket. Everything below is included in the program. · Custom Printed Supertickets. With the logos and descriptions you asked to have on the back. 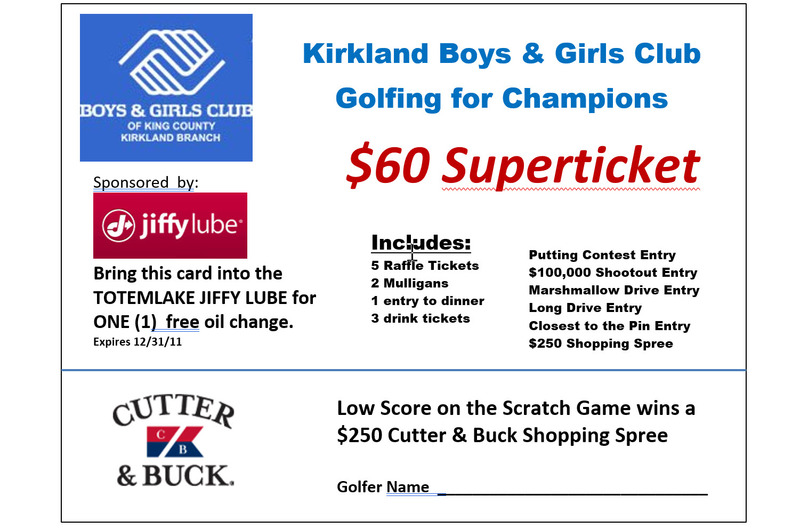 · $250 Cutter & Buck or Nike Golf Shopping Spree. Give it out whomever you see fit. · $50,000 Shootout for 2 persons. You select 2 lucky persons to come out in front of everyone at the hole approaching the clubhouse. They will shoot from a marked spot 176 yards away and if they get in the hole, they win $50,000. Easy as pie! You can even stipulate that they must give half to the charity…a true win/win. · 2 Plaques to display at the registration table. · ‘I donated’ Stickers. You will receive 150 stickers for all players to receive once they purchase the ticket. · Raffle tickets You will receive enough raffle tickets to give to all persons who buy tickets. $10 per ticket. That’s it. You sell them for $40, $50, $75 dollars. You decide the price. All the profit goes to the tournament. Call your Every Brand Apparel Rep to get started today!